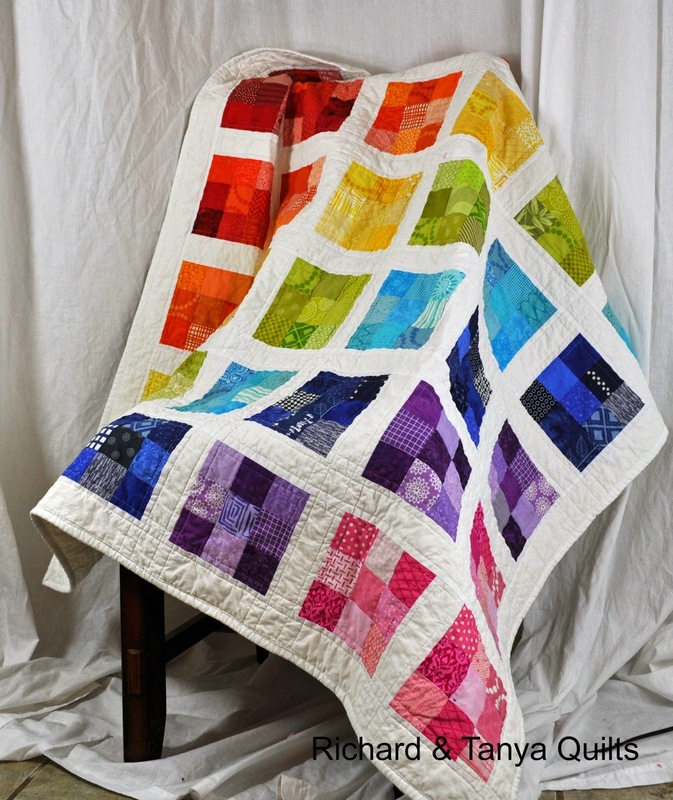 This is a rainbow quilt composed of 36 nine patch squares. 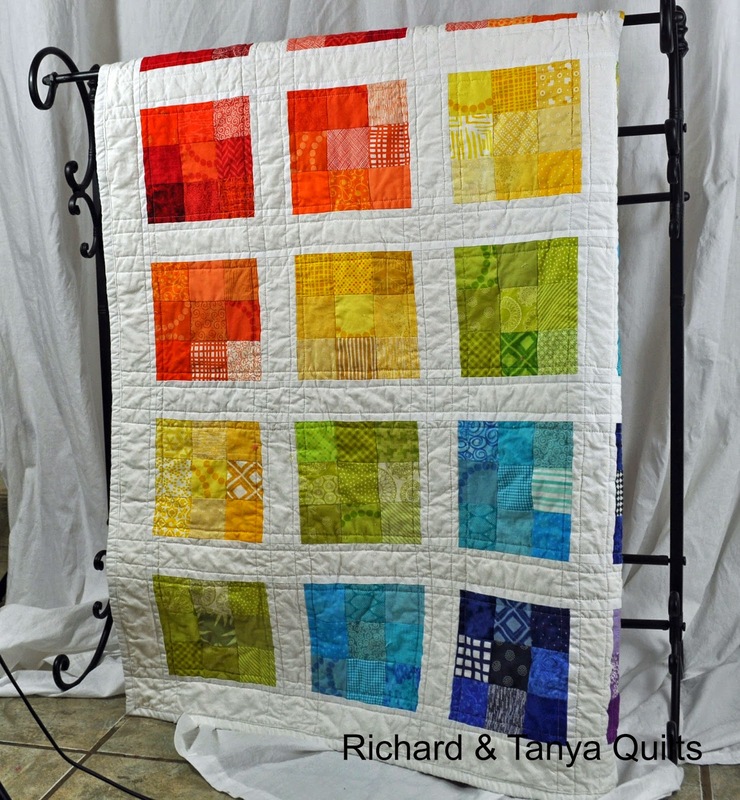 This quilt is made up of 2 1/2 inch squares. 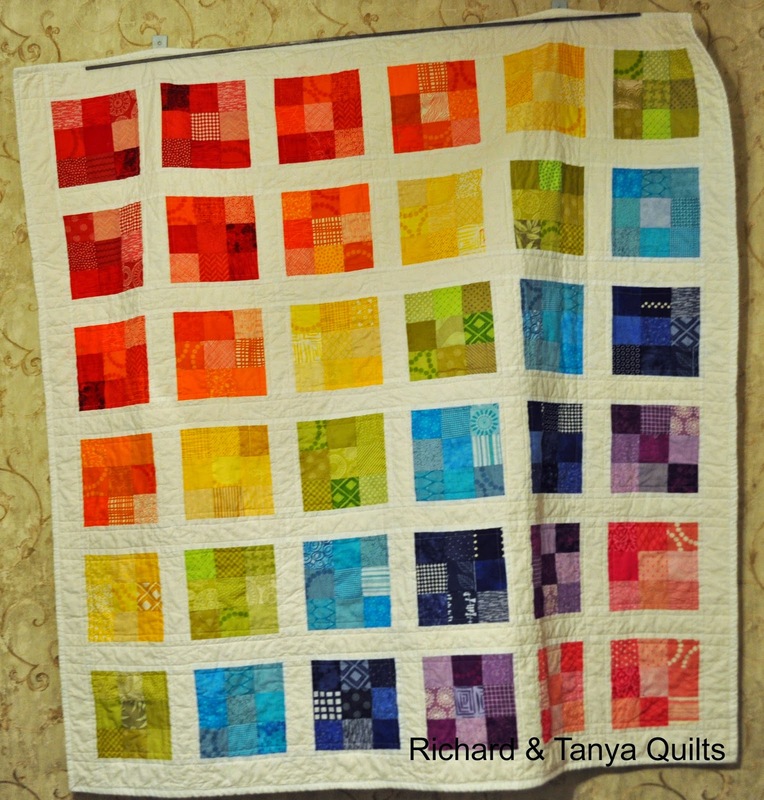 This was a custom quilt that was made for a customer on Etsy. They saw a quilt elsewhere and asked us to make one for them. The binding is the same white fabric as the borders. I would have used a rainbow stripe, but this is what the customer wanted. I see us making another one some time in the future. Very nice, it is simple yet looks amazing. Very nice, I like the rainbow. I've been stuck on nine patches lately, but hadn't considered doing something like this. Thank you for showing that last picture. I quite like the way it turned out!